How to organize the data your church is already gathering in Breeze. While you may already use Profile Fields and Tags to store information on profiles and to manage your groups, you may not know the important role these two Breeze features can play in organizing your data. Optimizing the organization of your Breeze database can help with the following tasks: Visitor Assimilation, Tracking Demographic Information, Tracking Member Milestones, Small Group Management, and Managing User Permissions. Profile Fields are used to store information on individual profiles and can be used for advanced searches from the People section. The Profile Fields in Breeze are highly customizable, with many different field types, allowing you to gather information on anything and everything you’d like, such as: date of baptism, spiritual gifts, favorite color, etc..
A good rule of thumb when creating these profile fields is to be specific with your field options. If a member could fit into more than one selection (and the field type is not Checkbox), the options are not narrow enough. An example of this would be a Status field with the options of Active, Inactive, Member, No Longer Attends, and Visitor. One person could fall into several of these options, as they can be a member of the church who is no longer active as they no longer attend – that would be one person that matches three of these options! Having more narrow field choices would ensure that data is being kept consistently. One fix for this scenario is to create field options such as: Active Member, Inactive Member, Active Attender, Inactive Attender, and Visitor. These options leave no room for guesswork, as it is clear when a person fits into one option and not the other. This guideline provides a path to consistent data gathering over time. Another rule of thumb is knowing the why behind the data your gathering. What is the purpose for knowing this information? How can it be used to positively affect the individual and their spiritual growth? Does this information help you minister to them better? While thinking through these processes may seem time consuming, it is time well spent, as well-constructed profile fields are essential to effectively capturing and utilizing the information you gather. Check out this short video to see profile fields in action! To ensure your data is displayed in a way that best serves your ministry, you can easily change the order and structure of how profile fields and sections appear on a profile. You can do this by navigating to More > Profile Fields and dragging and dropping the fields and sections as you see fit! You can also create new profile field sections by dragging and dropping the “New Section” option into the main part of the screen. This can be a great way to keep information organized and easy to find on profiles! To edit the name or properties of a profile field, simply click on it. To move a profile field to another section, simply drag and drop it. Moving these fields moves the data collection box as well as all data that is subsequently stored there. Best practice is to organize your data in Breeze first and then create other materials (such as registration cards), to match that order.  Group your data in a way that makes sense for use: demographic, church milestones, administrative, etc. This will ensure an easy process for manual data entry, as well as create an organized presentation for quickly finding information when needed. Have Legacy Fields and not sure what to do with them? Click here. If our complimentary data import services were used to move you into Breeze, you probably have a section of profile fields called "Legacy Fields." These fields hold information that was unique to your previous software/database. You may rename these or move them to other profile fields sections as you wish by going to More > Profile Fields. You may even decide that you no longer need a legacy field, in which case you can simply delete the field (by clicking on it and selecting the X on the right-hand side). An example of this would be a legacy field of Beeper Numbers; more often than not these number are no longer being used. You may also decide some of your legacy fields would be better used in Breeze as Tags, given the search logic or how you use this information. In this case, you can create a new corresponding Tag, and then bulk assign individuals with this profile field to that tag, from the People section. You would then be able to delete this profile field. Note: When deleting a profile field, all data stored for this field will also be deleted. Tags are primarily used for group management and act as an organizational tool for your Breeze database. Tag folders are used to hold tags that are similar or that should be grouped together. Using these two items in conjunction with each other allows you to better organize the structure of your ministry. While certain fields should be unique to the profile like birthdates, baptisms, family members, etc., there are certain types of information that are not static and are related to the management of groups – this is where tags com in! Tags should be thought of as the secondary level of organization. Profile fields, being the first level, should be used to hold static or consistent information, while tags should hold information that is more dynamic, or likely to change (such as small group interests, volunteering interests, etc.). By grouping people into tags, it's easier to run reports with advanced searches for when you want to be inclusive of certain individuals and exclusive of others. While these guidelines may work for most situations, we do recognize that every ministry is a bit different and has different needs. So, if you feel as though it would work best for you to use Tags to hold some static information, know you most definitely can! And if after reading this article you just aren’t quite sure and would like to brainstorm through the issue with someone, know that we are here and happy to help. You can reach Breeze Support directly by clicking here. Understanding how to store your data in Breeze is often related to how you’ll want to use or search your data later on. With this in mind, it should be known that Profile Fields use the search logic of AND, while tags use the search logic of OR. The following is advanced-level information. An example of the AND logic would be if you wanted to see all of the men at your church who were members and married. In the People section, you would set the filters of Gender: Male, Status: Member, and Marital Status: Married. Breeze would then give an output of everyone in your system who is all three of these things. An easy way to visualize this type of search is with a Venn Diagram. In this example, the blue section would be individuals included in the output of your advanced search, as they are all men, married, and members. A nuance to this guideline of AND vs. OR searching, is that searches within a profile field correspond with the OR logic, while searches across profile fields correspond with the AND logic. For example, a search of the Status: Member, Visitor; Gender: Male; Favorite Color: Blue, would result in output of all men who are marked as Member OR Visitor AND have the favorite color of Blue. It’s OR for the status as they are part of the same profile field, while it’s AND for the gender and favorite color because they are in separate profile fields. An example of the OR logic would be an advanced search in the People section, looking at multiple tags. For example, a search requesting to see anyone who is in the Bacon Study Group OR John's Group OR Mom's Group. A person need only be in one or more of the tags to be included in the output. Therefore, the output will include anyone who is in at least one of the tags; everyone else will be left out. An easy way to remember how tags and profile fields affect the Users and Roles section, is to remember that tags deal with groups and profile fields deal with the individual. With this in mind, it can be understood that tags can be used as a way to hide entire groups of people from other Breeze users, while profile fields can be used to hide specific individual details being tracked on a profile. Hiding entire groups of people can be extremely helpful for individuals such as visitors, for whom you may not want visible to your other users or members with Member Access. In this scenario, all you’d have to do is navigate to Users and Roles and edit the Member role settings to "Only Access Certain People" > "People Not in Tags" > your "Visitor" tag. Here's and example of what this looks like in Breeze. Hiding specific people information from view can be extremely useful in Breeze, as it opens the door for an online church directory, as well as allows other staff members the ability to view people profiles without viewing sensitive information only meant for the admin. To hide certain profile fields from the view of other users, you’d simply navigate to the appropriate role and change what is checked under the "People" permissions > "View" option. And there you have it - you're now fully equipped to organize your data in Breeze! I need to delete information fields under people. When I go to more, profile fields, they are not listed but when I click on the people there are items that we do not need. Hey Debbie, I just followed up with you via email. Check your inbox for a response from me and we'd be happy to assist you with this! I need to delete almost 100 old tags that were transferred from our old church software. I have tried deleting one at a time and it takes about 30 seconds to do just one. Is there a faster way to do this in bulk? Hey @Office! If you recently joined Breeze and we performed a complimentary export and import of your data, we would love to correct that for you! Simply email our support team at support@breezechms.com and we'll take care of you! Otherwise deleting Tags one at a time is the only method to delete them within Breeze. You may want to check your current internet speed as well, as a faster speed might expedite the process! I need to uncheck "inactive" from an individual's member information. Please let me know how to do that. Thank you.